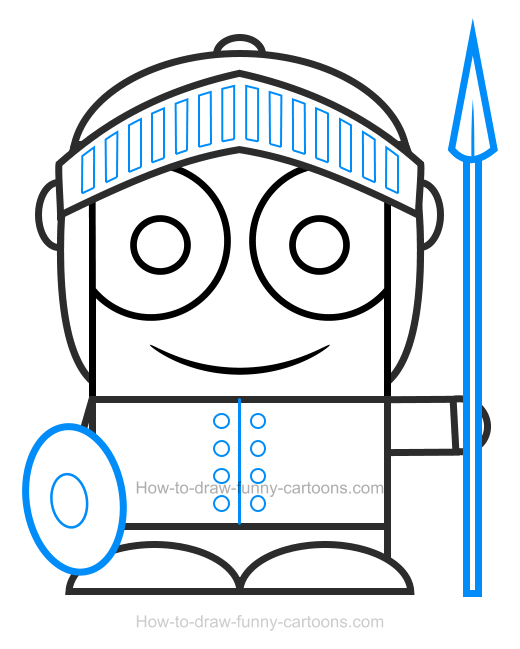 Why not learn how to create a fun knight clipart fun basic shapes and pay a tribute to this iconic character from the past! Illustrating a knight can be a difficult task if your goal is to end up with a realistic drawing. Fortunately, there is a better alternative if you just want to draw a simple version of it! Let me show you how to draw this knight using basic elements now! First, we need to draw the character without accessories. 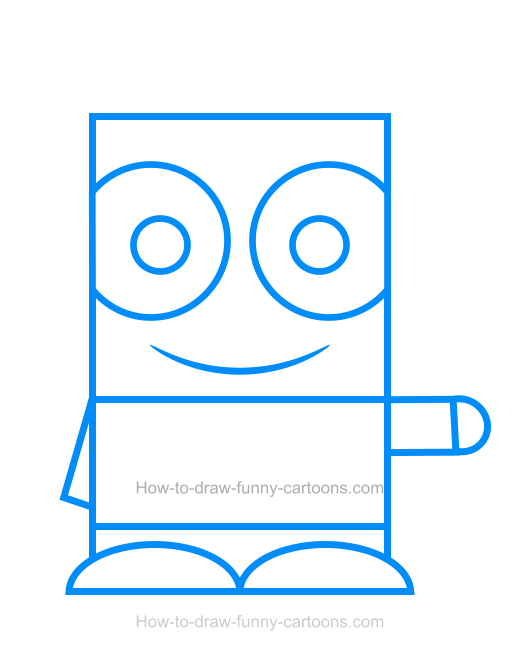 You can begin with the head, the body and the legs that are all made from rectangles. The arms are also done from rectangles while the hands and feet are illustrated with circular shapes. 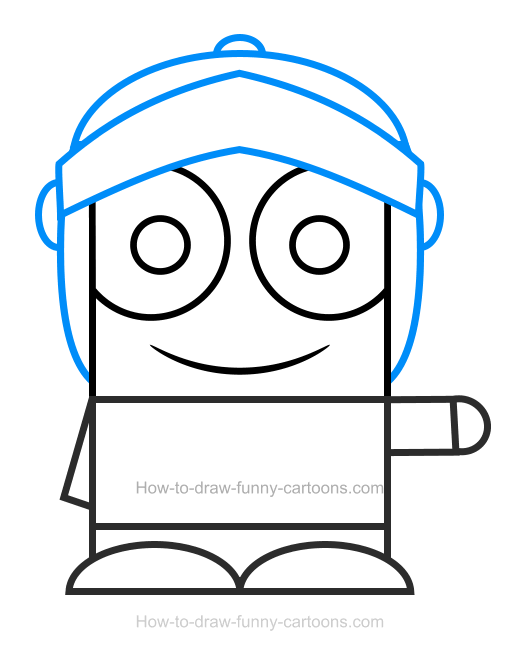 Complete this step by adding the eyes and pupils using circles and the mouth using a curved line. For this second step, you can draw a large helmet as shown below. The top and the sides of the object are done using curved lines. The part just above the eyes is created from rectangles. Complete this helmet by adding three small circles on both sides and on top. It's time to add some details to make this cartoon character visually more interesting. First, you can draw a spear in the left hand of the knight using a long rectangle and a triangle on top. A shield is added on the other hand of the character. Finally, you can draw some rectangles on the helmet and a few circles on the armor. Great! We are now done with the drawing part of this lesson. Let's add some colors to make this character visually more interesting. The armor, the helmet, the spear and the shield are all filled with a dark grey color. Some parts inside the helmet, near the legs and on the spear are darker. The eyes are white and the pupils are blue. Nice! 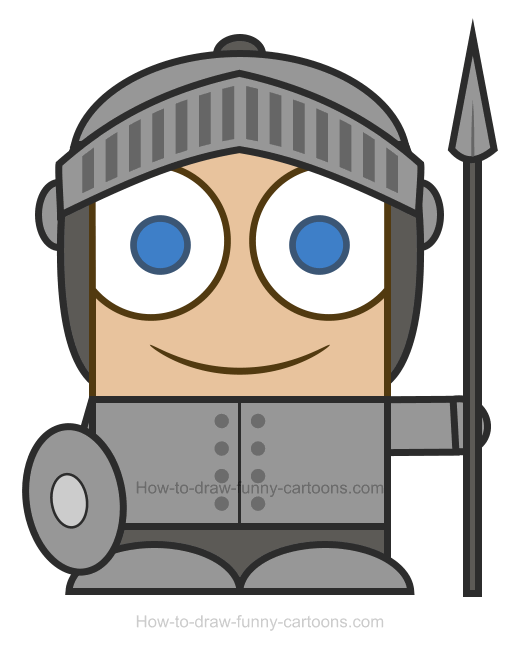 This cute knight clipart is definitely ready for some action! 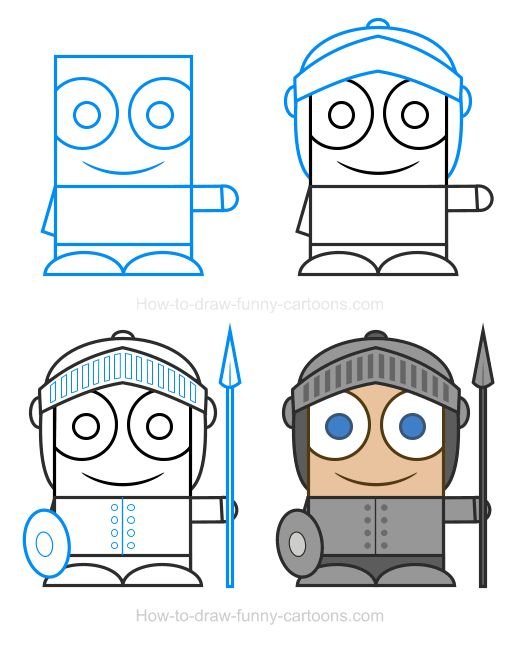 These are all four steps needed to draw a cartoon knight like the one found on this page. I hope you had fun working with this illustration and don't hesitate to try different armors and get creative! You can also try more characters from the same series here and learn something different! Enjoy!